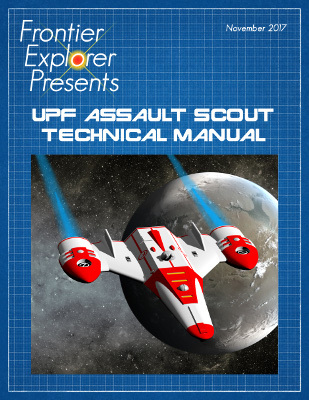 The UPF Assault Scout. Probably the most iconic ship in the Frontier, the assault scout can be seen in almost any SpaceFleet patrol and as part of every planetary militia. Small, fast, and versatile, the assault scout is a ship unmatched by anything in the Sathar fleets. Despite its advantages, the original Stiletto class assault scout had some design issues. This Technical Manual reviews those issues and presents the details of a new Swift-class. Roomier, hardier, and designed for longer missions, the Swift-class is quickly becoming a mainstay of SpaceFleet's roster. This 20-page document contains complete deck plans for two versions of the iconic ship: a remastered version of the original deck plans from the game as well as a redesigned and expanded interior for a new version of the ship. It also contains details about the operation of the ship and notes on the design. While the Assault Scout is an iconic ship in the Star Frontiers setting, it can be easily adapted to other systems and settings. In addition to the PDF with the ship description, the download includes a number of additional digital files including the deck plans, ship cross sections, front, back, and bottom views of the ship and a 3D model suitable for printing or use in other modeling software. The deck plans are presented at 1m per square, 2 squares to the inch and rendered at 200dpi for printing or use in virtual table top systems. They are presented both with and without a grid and can be scaled as needed. 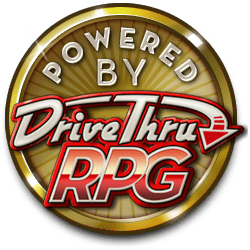 As is true with all the Frontier Explorer products, and per our agreement with Wizards of the Coast in creating Star Frontiers material, this download is completely free. But while we can't charge for our products, we are allowed to accept donations and “tips” from interested users. The Frontier Explorer Presents series is our “tip jar”. As such, we are releasing this project as a pay-what-you-want product to allow donations from the community to help support the Frontier Explorer. If you like what you've seen in the published issues of the Frontier Explorer magazine and want to help keep it going, consider making a donation when you download this title by making a non-zero donation in the price box. If you don't want to contribute, that's fine as well. Enjoy the free deck plans. If, after downloading this product or any of our magazine issues, you want to make a donation, just visit our website and hit the donate button in the left sidebar. All donations go toward maintaining the magazine's website and producing the magazine and special issues. If you are ordering a printed copy, the minimum price is $4.15 (or there about if not in the US) to cover the basic printing cost. If you want to make a donation to the Frontier Explorer with your purchase, anything above that amount comes to us. Thanks again. I am trying to put in a dollar amount and there is a "Pay what you want" notice on top of the field, preventing me from donating money. That's strange. For me there is a field by the "Watermarked PDF" flag where you can enter the price. This might be a questions for the site as I don't thing there is anything I, as the publisher, can do about that. Thank you for wanting to donate but it it doesn't work, just grab it for free.